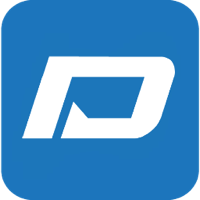 Our coin reliable is created on the basis of the latest version of Dash, which gives great advantages over other projects, and it's fast transactions with practically zero commission, the network is supported by miners that are dispersed all over the world after the boom of equipment for algorithm X11 PoW , and Masternodes(MN), which gives our technology to be protected from attacks by 51% of the network capture or from government prohibitions that can ban mining at any time, which directly threatens the algorithms PoW. Also, we have serious developments for Internet of Things (IoT) and other industries, using DACash software that will create a breakthrough of technology in the real world. Data feeds in conjunction with the logic of regulation are to bridge the real world to the blockchain world. As an open source community, the DACash team has built a platform that is secure, reliable, and compatible with the Dash community and the Bitcoin system. It also integrates on-chain and off-chain data through technical and conceptual innovation. In order to ensure the sustainable development of the DACash, the team will refer to investment practices to perform industry analysis and selections and to choose the appropriate industries to implement DACash technology. Our pioneering developments based on our open source code that implements the IPv6 layer over both IEEE 802.15.4 and PLC, being an open protocol standardized by the IETF, is noted as particularly important for the development of the 'Internet of things', which makes possible the use of blockchain (BL) & IoT for the overvaluation of the scalability of crypto-currencies in the real sectors of the economy, which will undoubtedly be a big breakthrough for the entire crypto industry. Experimental samples will be ready to be submitted in of the fourth quarter of 2018, provided there is sufficient funding for production, which is possible if there is an interest trader in our coin. These are physical devices in which the BL & IoT technologies are combined, according to our estimates, the merchants themselves will pay attention, and all wherever the Internet is, since nowadays any cafe or store starts from the Internet. We expect that on-chain scaling combined with DACash client will provide simpler and more secure payment solutions. The genius of the original Bitcoin model is that in runs at a stable Nash equilibrium. The introduction of transactions on the lighting network is clear evidence of a step away from this stable Nash equilibrium. The Lightning Network is in use on the Bitcoin network. In current implementations, it contains several important drawbacks when compared with on-chain transactions, including security and routing issues, as well as trust in a third party, which contradicts the concept of p2p. Our developments are designed to solve these problems, which developers are trying to solve with the help of the Lightning Network. DACash exploring what transaction throughput can be supported without disturbing the original equilibrium. Since the devices themselves in the final form will be easy to use Plug and Play do not require increased knowledge which again is not enough for most users, many are repels by the complexity of all processes , or trivial not understanding and as again show research that more interest in both business and technology is shown by women, this in turn can give a new impetus to the adoption of technology by the majority in business, and so will enable easier understanding of the institutional investments in BL & IoT. We don't have any cloud miners listed for DACash yet, check back soon! We don't have any exchanges listed for DACash yet, check back soon! Visit our full dacash mining calculator. We don't have any wallets listed for DACash yet, check back soon! We don't have any debit cards listed for DACash (DAC) yet, check back soon! We don't have any price charts listed for DACash yet, check back soon!